A PC running Windows, or a Mac running OSX on which you will install the Quiz Hosting Software and from where the quiz host will run the quiz. The SpeedQuizzing software that runs on your host computer that is operated by the quiz host. Download the software free here. SpeedQuizzing is designed primarily for teams to compete against each other, (whereby a small group of people share a single handset), but can be played by individuals using one handset per person. Regardless of whether individuals or teams are competing they will for the purpose of this guide and all further instructions be known as “teams”. General term for an iPhone/iPod touch/iPad/Android phone/Android tablet or Kindle Fire. Anyone can download the free App and use it to submit answers wirelessly to the host computer at your event. The Speedquizzing Virtual Buzzer app that installs free on to handsets which are used by teams to submit answers to questions read out by the quiz host. Get the App here. The person operating the Quiz Hosting Software, reading out the questions and hosting the quiz. For anywhere larger than home or classroom-use, the host should be equipped with a microphone speaking through a sound-system/PA so that all players can hear the questions being read out loud and clear. The wireless router, which allows the handsets to communicate with the Quiz Hosting Software. It is possible to demo the system using a standard home WiFi network but for professional use you must purchase the SpeedQuizzing Hub/Router. Check it out here. Also known as an Ethernet cable, the cable is recommended to connect the router to the host computer. Although a WiFi connection between the router and the host computer will work in some cases, it could well provide a less reliable end result than using a wired connection. Wired or Wireless Microphone to amplify the host’s voice. This will need to be plugged into a sound system often via a small mixing desk. A Wired Microphone is fine for the Keypad games however for the more advanced Buzzin’ games you might want to consider a Wireless model. Although not 100% necessary to host SpeedQuizzing, the sounds generated from the host computer‘s headphone output such as Buzzer ID sounds and countdown timers etc. are a big part of the SpeedQuizzing experience and should be amplified loud and clear for all players to hear. Speakers and amplification to amplify both the voice of the host as well as the sound effects coming from the laptop’s headphone output. A common way to combine a microphone signal and a computer headphone output in order to input them both into your sound system at the same time. 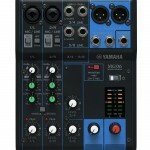 This may be a DJ mixer (With Mic input) or a compact mixing desk such as this one here. Various styles of SpeedQuizzing formats hostedfrom within the software including the very popular and easy to use Keypad and Nearest Wins games, along with the more advance Buzzin’ and Music Clips games. The electronic license which you (the host) purchase from us. An activation lasts for one day and allows you to connect 32 handsets as opposed to the maximum of 4 when used in demo mode. When booking an Activation it will include a set of 61 quiz questions which are automatically downloaded with the Activation. You (the host) must create a User account on the SpeedQuizzing signup page before they can pay for and book an Activation.